Sean Dixon, known as Seany, Preston, Lancashire, England. Son of Andy and Kitty (nee Devitt) and brother to Andrew and Angi. A funeral service will be held in Preston. Funeral Mass and burial will take place in Drumkeerin, Co Leitrim, at a date to be announced. Enquiries to Seamus Gallagher Funeral Director on 087 244 8642. Matilda (Tillie) Phillips, (nee Scott), St. Edwards Tce, Sligo. Peacefully at Mowlam Nursing Home. Reposing at Foley & Mc Gowan’s funeral home, Market Yard, Sligo this evening from 5.30pm to 7pm. Funeral will arrive to The Cathedral of the Immaculate Conception, Sligo on Tuesday for Requiem Mass at 11.30am with burial afterwards in Sligo Cemetery. House private please. Family flowers only, donations in lieu if desired to Mowlam Nursing Home Patient Comfort Fund C/o Foley & Mc Gowan Funeral Directors. Fr. Dan Sheridan, P.P Killeshandra. Peacefully at College View Nursing Home, Cavan. Reposing in St. Brigid’s Church, Killeshandra today from 4 to 8pm and on Tuesday from 12 to 7pm. Funeral Mass at 12 noon in St. Brigid’s Church on Wednesday followed by burial in Glangevlin. Family flowers only, donations if desired to Palliative Care, Cavan. May (Mary) Kennedy, nee Waugh, Kilraine, Glenties, and formerly of Frosses, Co. Donegal. Her remains will repose at her late residence in Kilraine, Glenties. Removal from there on Tuesday morning at 11.30am to St. Connells Church, Glenties for requiem mass at 12 noon. Burial afterwards in Kilraine Graveyard. Sheila Rushe, Knoxparks, Ballisodare, Co. Sligo, at the North West Hospice. Remains reposing at her residence on Tuesday afternoon from 3pm until 8pm. Funeral will arrive to Saint Brigid’s Church Corhownagh, Ballisodare on Wednesday for 12 noon Funeral Mass followed by burial in Saint Nathys Cemetery Collooney. Family Flowers only please donations in lieu if desired to North West Hospice C/o Gerard Clarke & Sons Funeral Directors , Ballisodare, Co. Sligo. Mary Bridget Fitzgerald, 21 St Colm’s Terrace, East End, Bundoran, Co. Donegal. At the Sheil Hospital, Ballyshannon, Co. Donegal. Reposing at her late residence today from 5pm to 10pm today and on Tuesday from 10am to 10pm. House private at all other times. 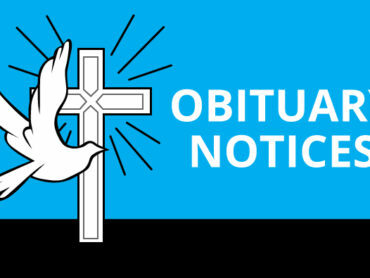 Removal at 10.30am on Wednesday morning to arrive at our Lady Star of the Sea Church Bundoran for 11am funeral Mass. Interment afterwards in St. Ninnidh Cemetery. Rosaleen Kane, Inbhear na Mara Residential Unit, Bundoran and formerly Pettigo, Co. Donegal. Reposing at Inbhear na Mara, Bundoran on Tuesday from 2pm to 9pm. 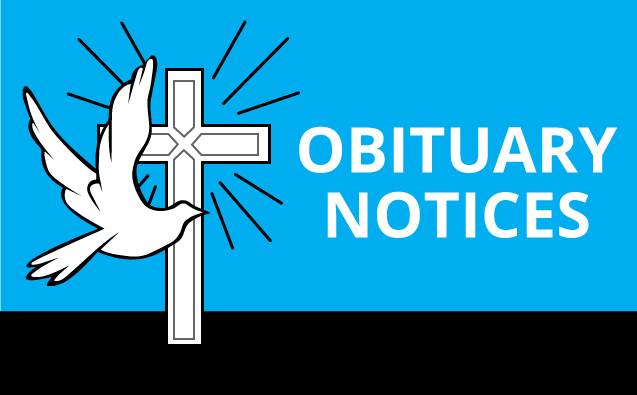 Removal on Wednesday morning at 10am to arrive at St. Mary’s Church, Pettigo for requiem Mass at 11am. Burial afterwards in adjoining cemetery. Family time please on the morning of funeral. Padraig Mc Dermott, Late of Cabra, Dublin 7 and Bunninadden, Co. Sligo. Suddenly at home. Funeral Mass at 10am on Wednesday in The Church of the Most Precious Blood, Cabra, Dublin 7 followed by removal to the Perry funeral home, Ballymote, Co. Sligo to repose from 5pm to 7pm. Mass on Thursday at 12 noon in the Church of the Sacred Heart, Bunninadden. Burial afterwards in Cloonameehan cemetery.